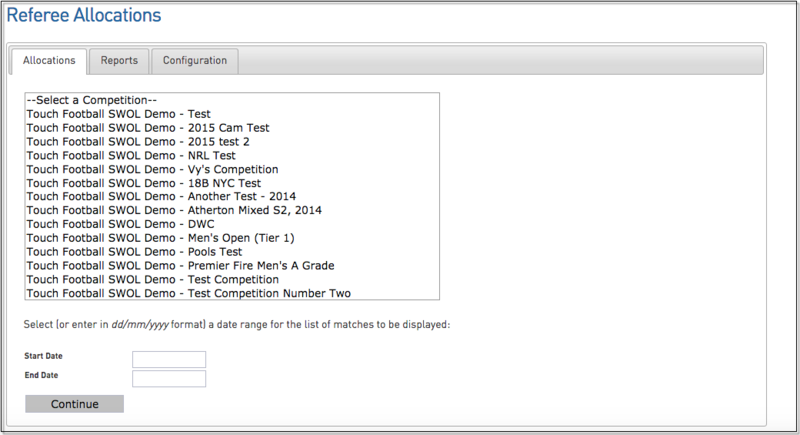 Once you have configured your 'Umpire Types' you can then allocate your officials to matches for each competition. 4. Click on Edit for the match you wish to allocate officials to. 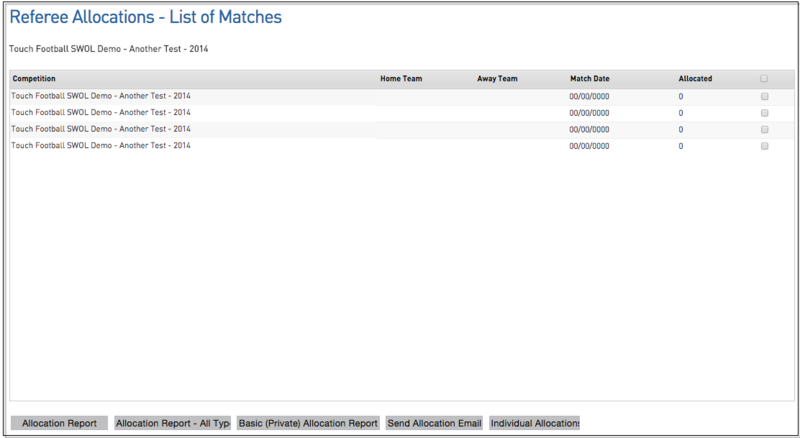 The Allocated column will display zero if no allocations have been made for a match. Once you’ve entered in your officials it will display how many officials have been allocated to that match. 5. Select the official from the drop down list and enter in any details required.